Have you ever had a day, when you were so tired, that you started making mistakes? When you look around, and see some of Mother Nature’s mistakes, you begin to wonder if maybe she gets tired too. But when you pay attention, you see that every now and then there is a trillium that doesn’t quite follow the rules, like this trillium I found on Middle Creek Trail. Four petals! So is it a quadlium? Not only does it have 4 petals, it has four leaves too! Take a close look at the number of stamens (those long fuzzy yellow things that make the pollen) and the number of styles (the white things in the very center that look like tiny, curved octopus arms, which are female parts of the trillium). 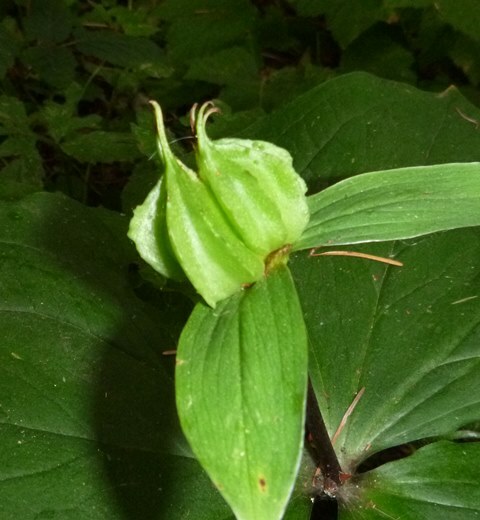 A normal trillium has six stamens and three styles, but not this one! 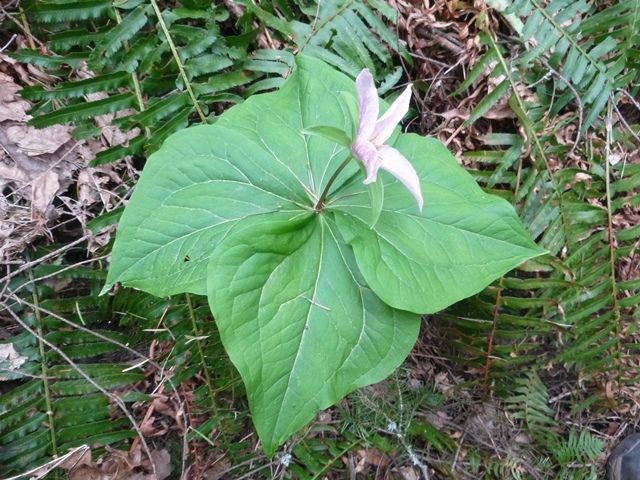 How about this trillium (pictured below) that popped up along Old Main trail a couple of years ago with two conjoined ovaries; six stamens and six styles, instead of the normal three styles. 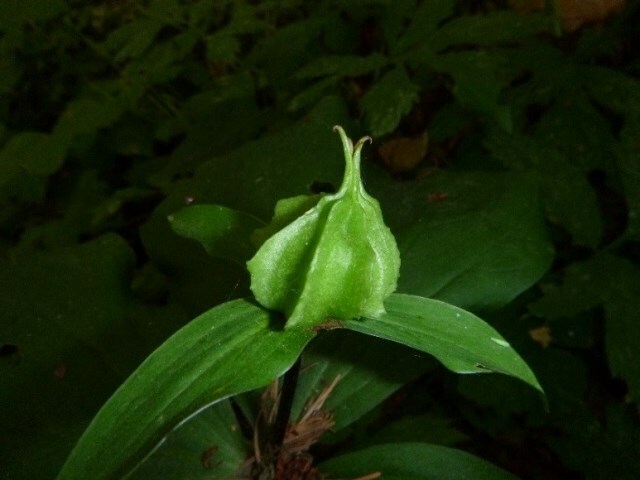 Later on in the season, this flower produced a conjoined pair of seed capsules. Compare the normal seed capsule on the left to the capsule which developed from the two conjoined ovaries on the right. These “mistakes” aren’t necessarily genetic mutations, but might be just developmental anomalies. Developmental anomalies are the result of abnormal things that happened during plant development. The anomalies can be the result of a variety of environmental factors, like water stress or cold shock, or even an infection with certain types of bacteria or plant viruses. 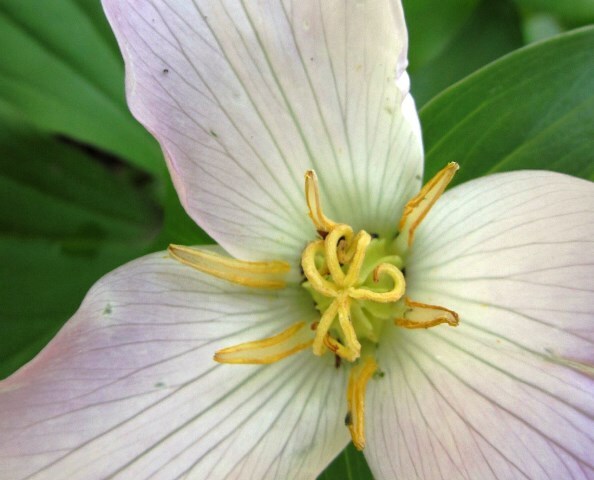 Mother Nature’s mistakes aren’t limited to trilliums. 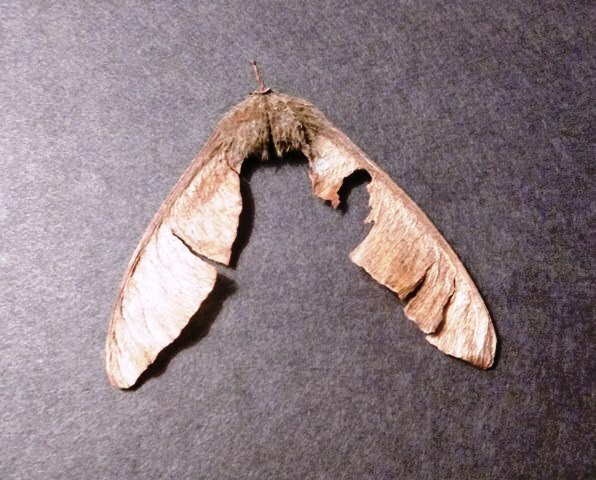 Normally, the seed of the bigleaf maple (Acer macrophyllum) is born in pairs, as you see in the picture on the left. However, on occasion, the seeds will be produced as triplets, as you see on the right. During a recent check at Tryon Creek, I found that slightly less than 1 in 500 maple fruits was a triplet. All the rest were double-seeded. 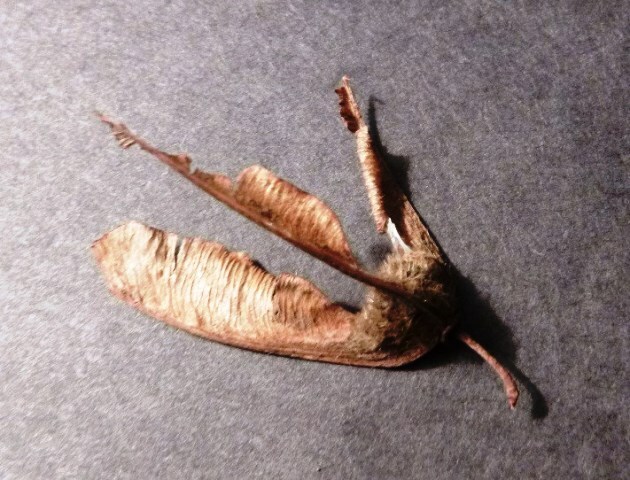 However, keep your eyes open; years ago in the Oregon coast range, I found a bigleaf maple fruit consisting of 7 seeds all joined together. These oddities are interesting of course, but can they do more than just gratify our idle curiosity? By “monsters” of course he meant abnormal specimens. 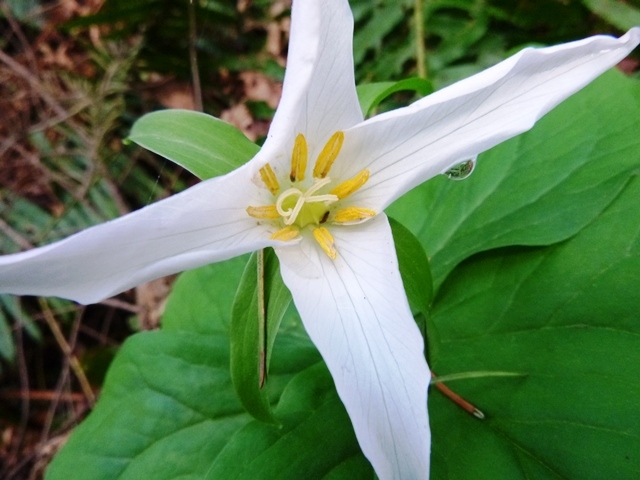 For example, if we only looked at normal trilliums, or even the four-petaled trillium, we might conclude that there was some process in the plant which ensured that there were always twice as many stamens as styles. 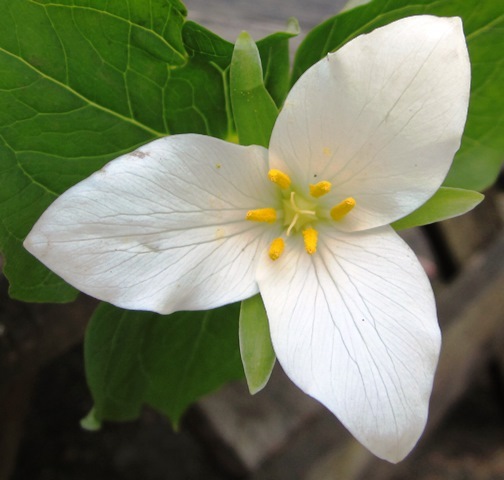 However a single glance at the trillium with conjoined ovaries shows that isn’t true. So if you think you’ve “seen it all” at Tryon Creek, just keep your eyes open for more of Mother Nature’s “mistakes.” They open up a whole new world of wonder. 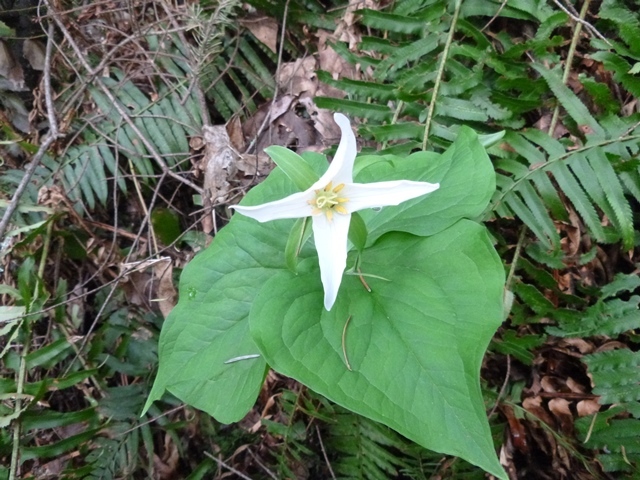 People come to Tryon Creek State Natural Area to see the beautiful trilliums, the colorful pileated woodpeckers and the towering Douglas-fir. Yet I’ve never met anyone who said they came to see Tryon Creek’s most precious resource – the dirt! Dirt, it seems, is treated like, well, dirt! Even using the fancy name “soil” doesn’t seem to help. But the truth is that if there were no dirt, there would be no trilliums, no woodpeckers, no Douglas-fir, and no human beings either. What’s so special about soil? One of the reasons we don’t really appreciate dirt is that, unlike pileated woodpeckers and trilliums, dirt seems to be literally everywhere. When we look at the ground, it’s easy to imagine that the dirt continues on down below the surface almost forever. Nothing could be further from the truth! As far as the plants are concerned, Tryon Creek SNA, and much of the area surrounding the park, has only 2 to 3 feet of useable soil (just imagine, we’d only be about waist deep in dirt if we sunk into the soil). The reason is that at that depth, there is a nearly impenetrable layer called the fragipan. The fragipan here at Tryon Creek is a dense clay layer that neither water, plant roots nor even air can easily penetrate. It’s as if we started with a shopping mall’s paved parking lot, spread a couple of feet of dirt on top of it, and decided to grow a forest there! Every now and then, nature gives us a great opportunity to see how this thin layer of dirt supports the forest. 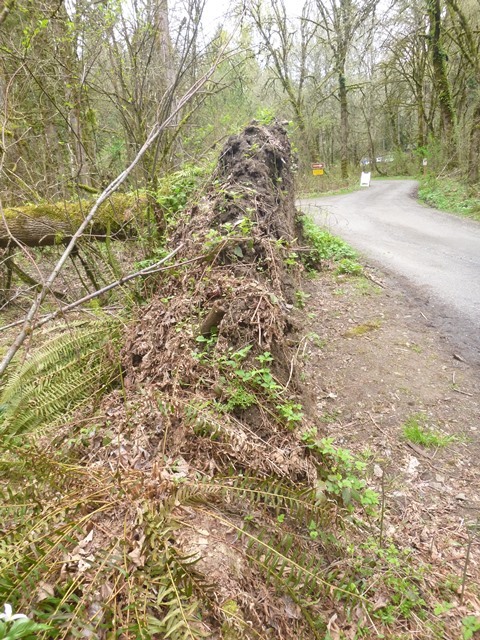 Last September, a bigleaf maple (Acer macrophyllum) tree at the edge of Tryon Creek’s main parking lot blew down. When the maple blew down, its roots pulled up the entire layer of soil that sat on top of the fragipan. It looks like a pancake standing on edge, as you can see in the first photo. This pancake of soil is only 24-1/2 inches thick. You can easily see in the next photo how impermeable the fragipan layer is by the fact that 3 days after the storm there is still a pool of water sitting on top of the fragipan. The water has not soaked in. Notice also that no roots are sticking out of the bottom of the soil pancake. Looking directly at the bottom of the soil pancake that the roots lifted up, it is easy to see how the roots were growing. As you would expect, the roots grew down into the ground until they hit the fragipan layer. Then, they turned sidewise and grew horizontally just on top of the fragipan layer. You can see the horizontally growing roots in the photo below (taken 6 months later when rain had rinsed off the roots). The fragipan layer has a very high clay content, which is why it is so impermeable. 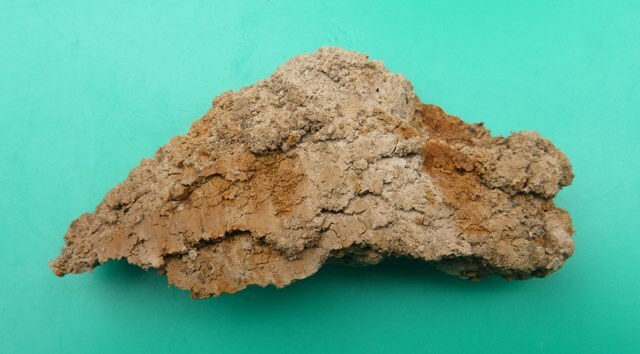 Looking at a piece of the fragipan, you can see it is mottled, or has spots of different colors, often indicating the state of iron in the soil. The red color is oxidized iron (“rust”) while the gray is an area of non-oxidized (“reduced”) iron. The gray color is an indication of extreme oxygen deficiency in the soil. This mottling is typical, and diagnostic, of soils which are saturated for long periods, and thus contain little or no oxygen. 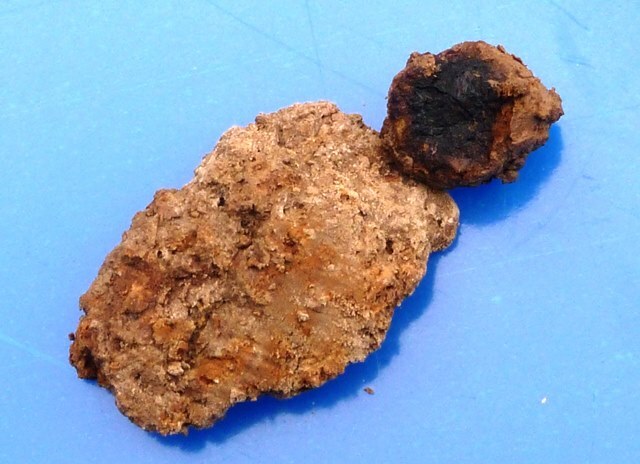 The soils at Tryon Creek SNA go beyond just mottling, and in fact contain numerous very dark to black iron-manganese nodules, as seen below. These nodules are extremely hard, and are another clear indicator of soils which are wet for extended periods of time. Every tree that has been blown down in the park reveals how thin the layer of useable soil is. 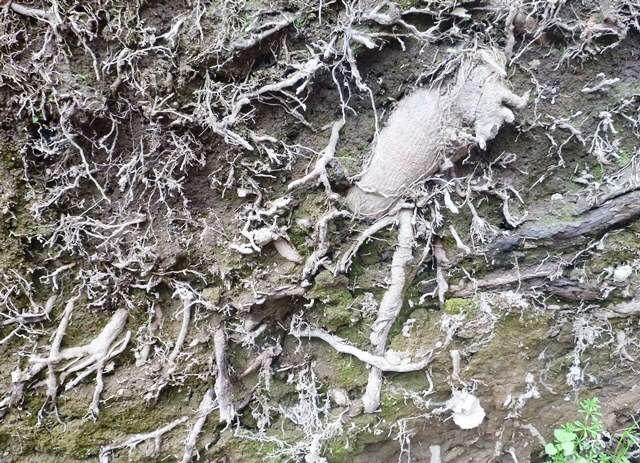 While Tryon Creek’s trees may start life by having a taproot, it doesn’t last for long. The fragipan sees to that. 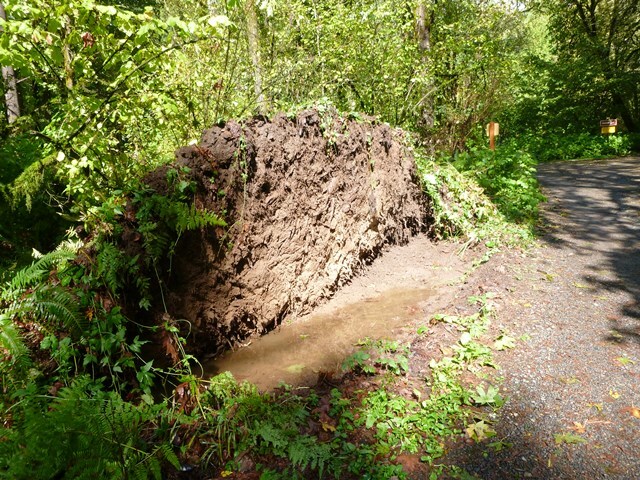 As a result of these shallow root systems, the trees at Tryon Creek and nearby areas, depend upon the neighboring trees to protect them from high winds. This mutual aid process works well until some of the trees are removed, leaving the remaining trees, especially on the edge of the cut area, vulnerable to strong winds. Thus, cutting out a cluster of trees to build a house in the middle of a forest leaves the trees immediately surrounding the house extra vulnerable to being blown down. As thin as the soil layer may be, it is essential to life as we know it. The next time you’re out hiking at Tryon Creek on a wet day, at the end of the hike pause for just a moment and give thanks for that stuff you have to scrape off your shoes. It’s the most important part of the park!